Through the generous support of American Alpine Institute, Liz Rocks launches its second annual Liz Rocks Leaders of Tomorrow Scholarship. This scholarship ($2195 value) seeks to support diversity in the mountains while helping one at-risk youth reach new peaks in their life. This scholarship allows one student to attend the July Adventure with AAI on Mt. Baker. AAI’s youth leadership program focuses on situational judgment and decision-making in a mountain setting while providing a base of general outdoor know-how and mountain sense. Participants learn rock-climbing skills, glacier travel techniques, crevasse rescue, navigation and other skills necessary for an attempt on 10,781-foot Mt. Baker as well as on other peaks. The Tacoma Mountaineers Adventure Club (MAC) in is a year-round outdoor adventure program for youth ages 14-18. Members meet monthly to plan outings and learn skills needed to participate. From single-day outings to week-long camping trips, activities include rock climbing, scrambling, hiking & backpacking, snow camping, snowshoeing, cross-country skiing, and mountaineering. Our goal is to give our students the skills necessary to safely travel in backcountry and alpine environments, gain an appreciation for our wild places, learn teamwork skills, and grow in confidence. While attendance at all meetings is not required, the more meetings and outings attended, the more rewarding the program! To be considered as a scholarship recipient, please submit the application below. You can also nominate a deserving youth with demonstrated rock climbing/ mountaineering aspirations. Apply or Nominate a Student Below! Please answer the questions as completely and detailed as possible. Letters of recommendation on not required but encouraged. Please have letters submitted via the form below. Submit Letter of Recommendation for a student below. If you are nominating a student with the above form you do not need to fill this form out. This year I got a scholarship for the AMGA Rock Guide Course which is taking place in this fall, 2014. 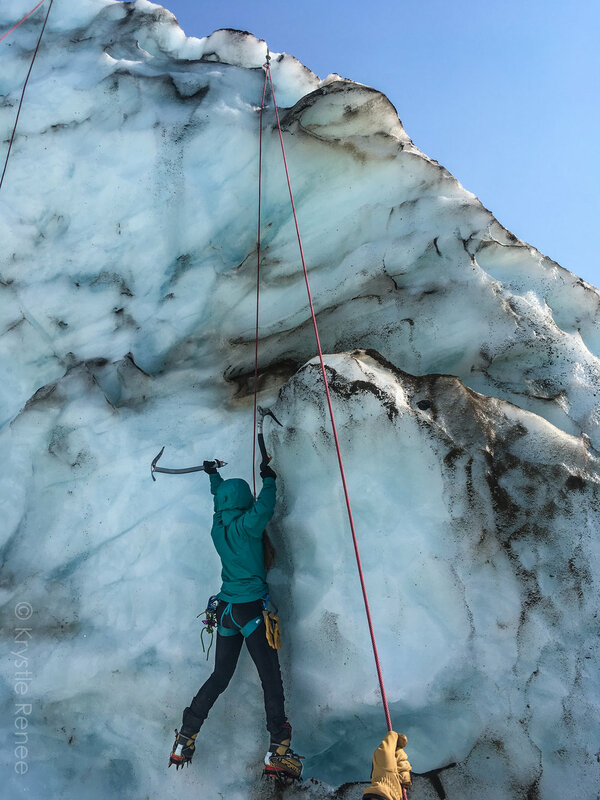 Guiding Denali isn't exactly preparation for a rock course but I'm starting out my season guiding the West Buttress of Denali.